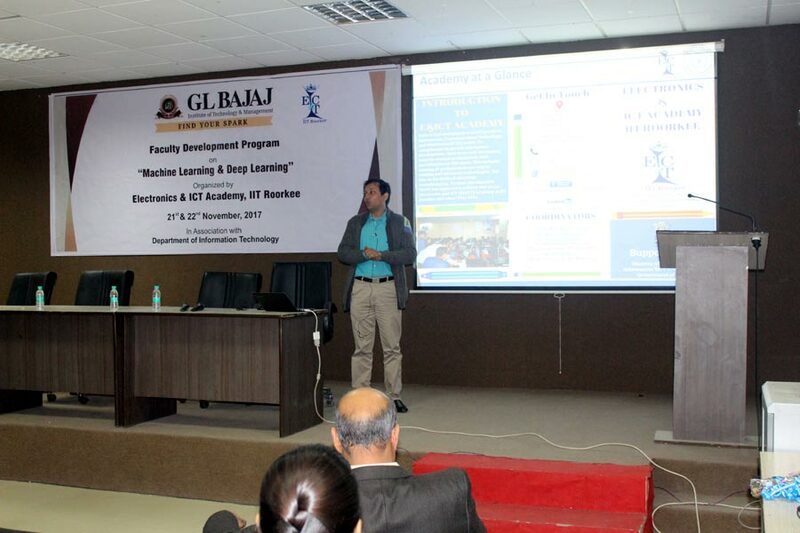 Two day Faculty Development Program on Machine Learning & Deep Learning organized by Electronics & ICT Academy, IIT Roorkee, in association with Department of Information Technology, GL Bajaj Institute of Technology & Management , Gr. 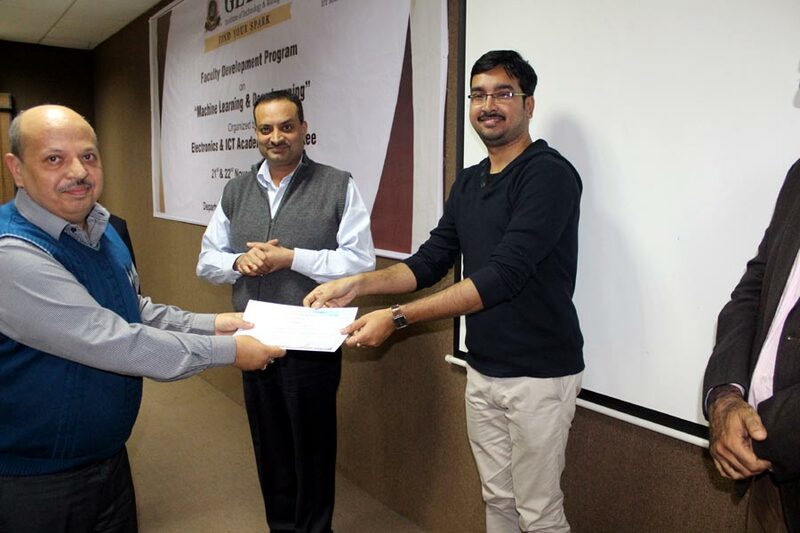 Noida, was held at the department of information Technology, GLBITM, Gr. Noida from 21st Nov 2017 to 22nd Nov 2017. The FDP aims to provide opportunities to faculty members & research scholars to enrich their technical skills and research in the field of machine learning, image processing using CNN, deep learning, clustering techniques, and neural networks. The program also intended to develop the knowledge of participants for simulation with advance software in the related field. 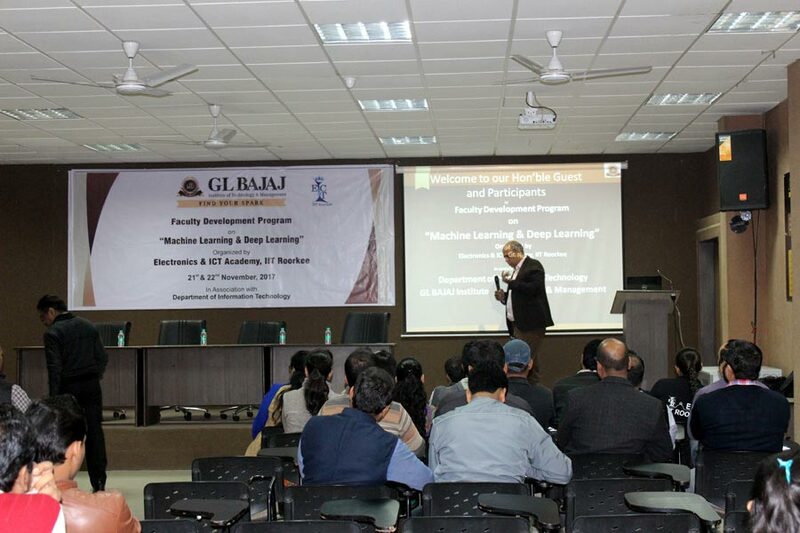 The FDP was attended by 35 participants from faculty members of IT, CSE, ECE, EEE and industry experts from different domain. 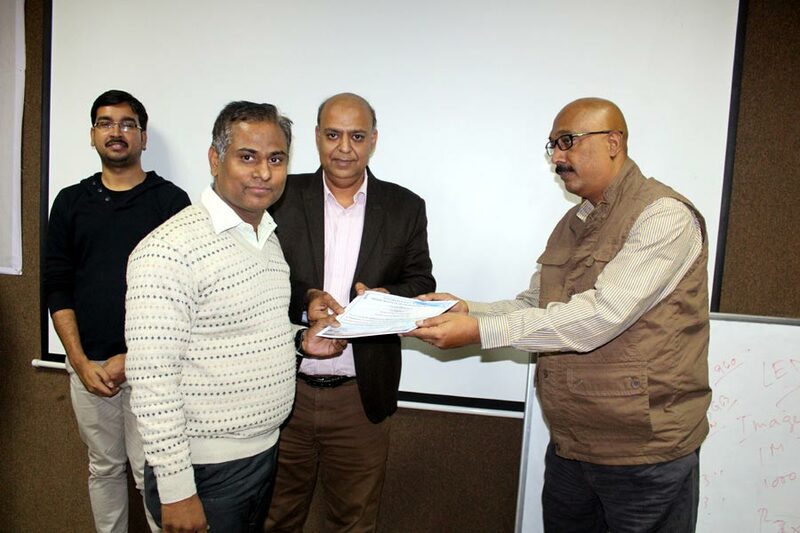 On first day Hon’ble Director Sir Dr. Rajeev Agrawal, GLBITM, Gr. Noida, welcome all participants & industry expert. In welcome speech Hon’ble Director Sir shared the objective of organizing the FDP and briefed the participant about the importance of subject chosen for the FDP. On first day, one technical session and hands on session were organized. Dr. Partha Pratim Roy, Assistant Professor, CSE Department, IIT Rorkee, delivered the lecture on Machine Learning and its application areas. He discussed about the concept of supervised, unsupervised learning, zero learning, neural network, clustering techniques and their application areas. 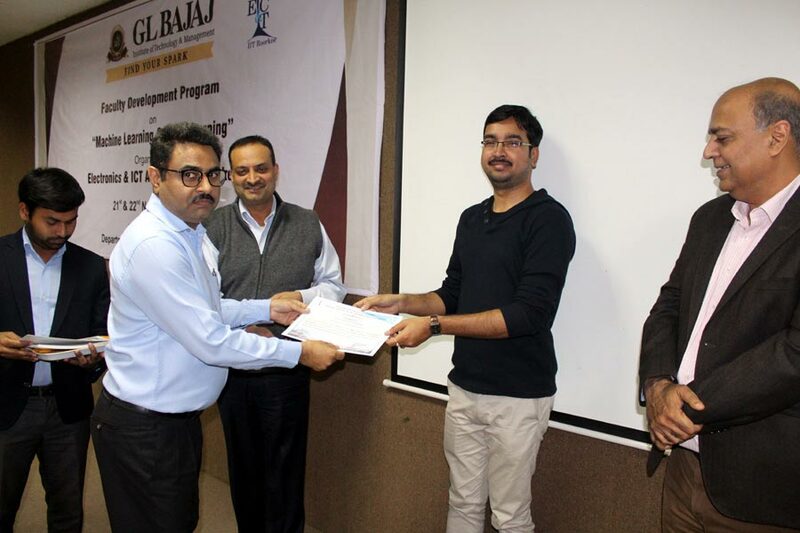 In hands on session, Mr. Raj Kumar and Mr. Pradeep Kumar, Research scholar, IIT Rorkee, with Dr. Partha Pratim Roy gave the demonstration on Met lab tool. in this session, the participants first trained with MATLAB tools and did simulations with examples and got the result.